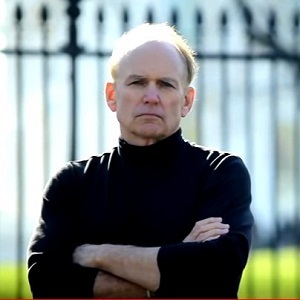 Stephen Bassett is the executive director of Paradigm Research Group founded in 1996 to end a government imposed embargo on the truth behind the so called "UFO" phenomenon. Stephen has spoken to audiences around the world about the implications of formal "Disclosure" by world governments of an extraterrestrial presence engaging the human race. He has given over 1000 radio and television interviews, and PRG's advocacy work has been extensively covered by national and international media. In 2013 PRG produced a "Citizen Hearing on Disclosure" at the National Press Club in Washington, DC. On November 5, 2014 PRG launched a Congressional Hearing/Political Initiative seeking the first hearings on Capitol Hill since 1968 regarding the extraterrestrial presence issue and working to see that issue included in the ongoing presidential campaign. PRG has assisted numerous organizations and initiatives working to 1) raise public awareness of the both the extraterrestrial presence and the truth embargo, 2) convene open congressional hearings to take government and agency witness testimony, and 3) incite the political media to appropriately cover the attendant issues. There can be only one outcome to the Disclosure advocacy movement - the formal acknowledgement of the extraterrestrial presence by world governments.